An industry legend, Barry-Cotter began building boats from a garage in Sydney in 1966. 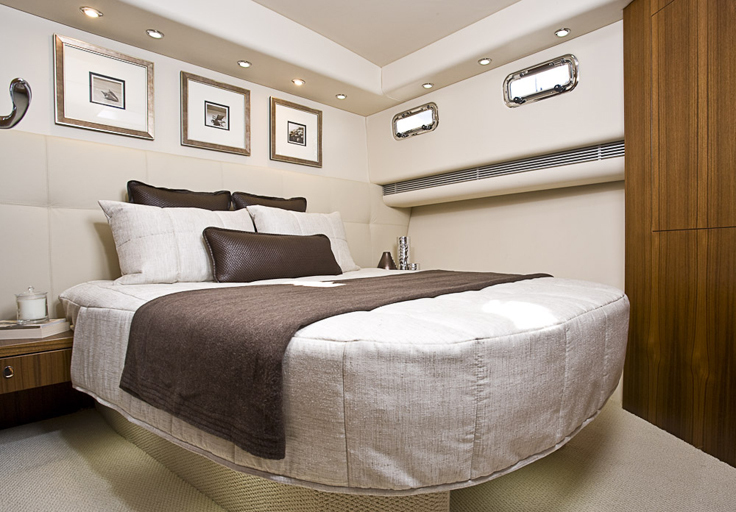 The Maritimo 73 is by far the largest and most luxurious boat he has ever designed and built. He founded the Maritimo brand in 2003. 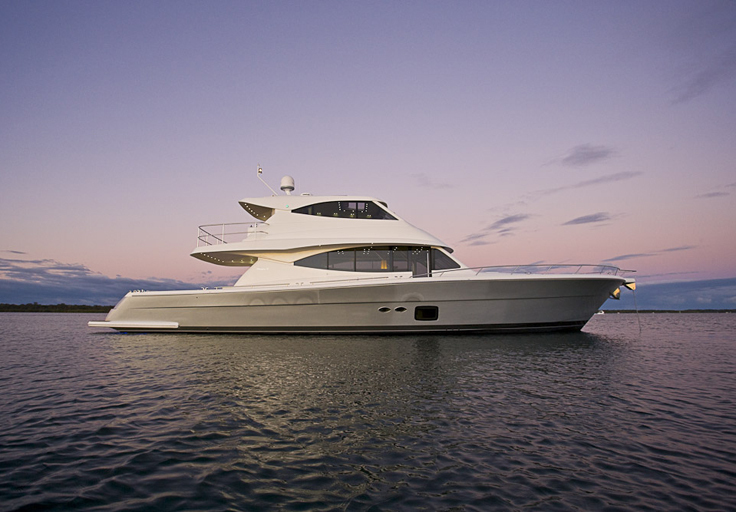 From just two boats on display at its first boat show in Sydney that year, the company has expanded to take a total of 13 different models with a retail value of more than $20 million to the 2010 Sydney International Boat Show. The Sydney display included two brand new models. 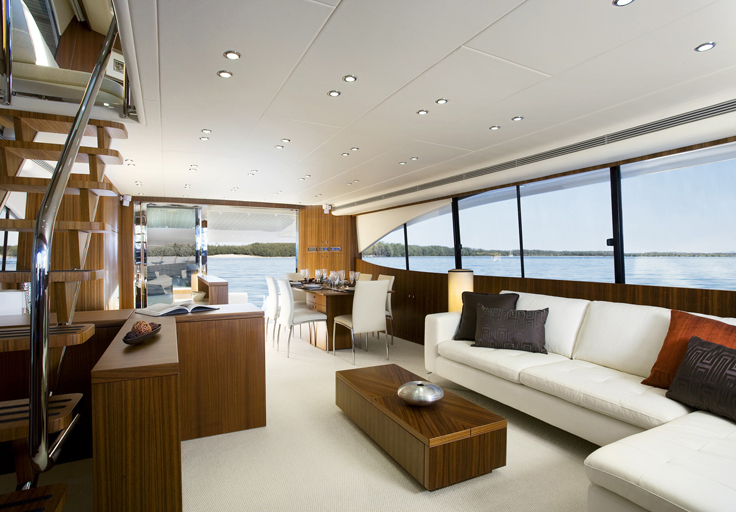 As well as the magnificent 73, Maritimo displayed the Aegean 50 Enclosed for the first time too. The aggressive new model launch program is part of Maritimo’s strategy to strengthen its powerful market position and weather the global economic downturn. The company also continues to invest in its Dealer network around the world. Over the past 12 months, five Dealers have joined the expanding network – two in Australia and one each in Europe, the Middle East and Asia. 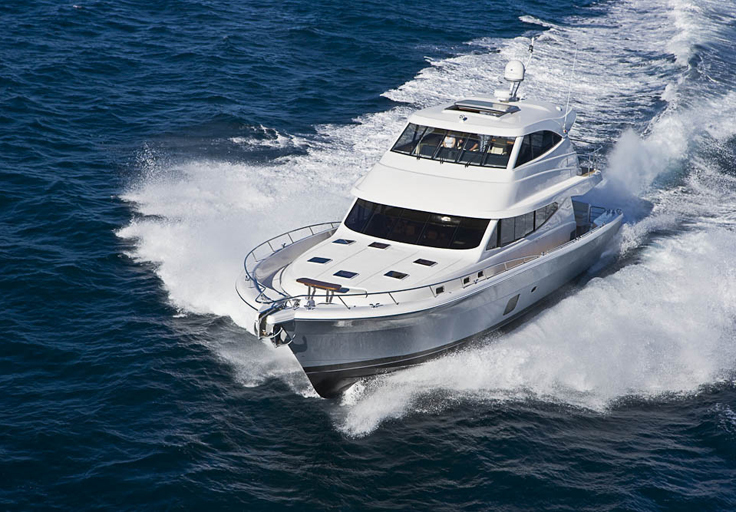 The appointment of a Dealer in Spain strengthens Maritimo’s growing position in Europe. 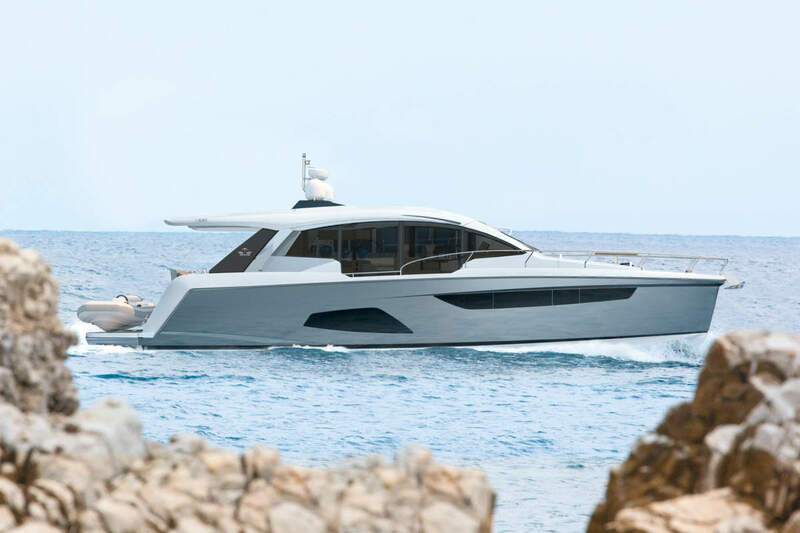 Maritimo’s 73 cruising motoryacht weighs in at 52 tonnes, stretches the tape out to more than 24 metres, boasts a beam that exceeds the overall length of substantial trailer boats and is destined to send the competition ducking for cover. 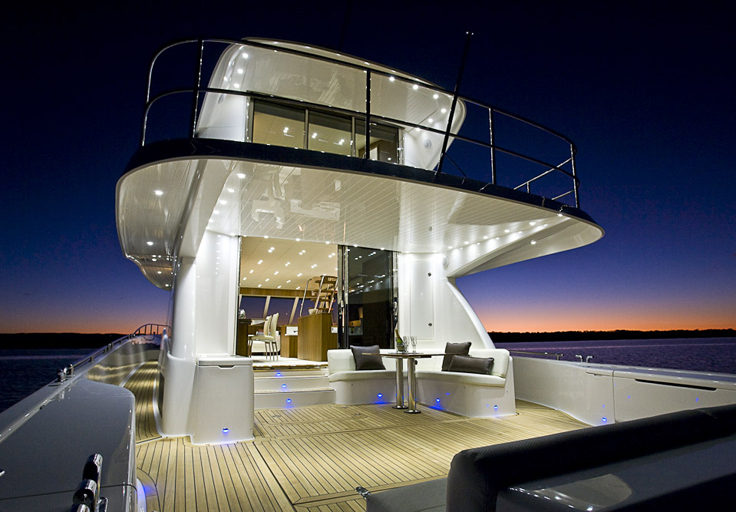 The Maritimo 73’ Sky Lounge is the largest vessel ever built by the company and was unveiled to the world at the 2009 Sydney International Boat Show. Everything about this massive craft, let’s call it a ship, is BIG. Her standard power is a pair of massive Caterpillar C32 marine diesels, each generating a thundering 1550 horsepower each. Optional engines are the C18 Caterpillar power plants offering a ‘mere’ 1000hp each. 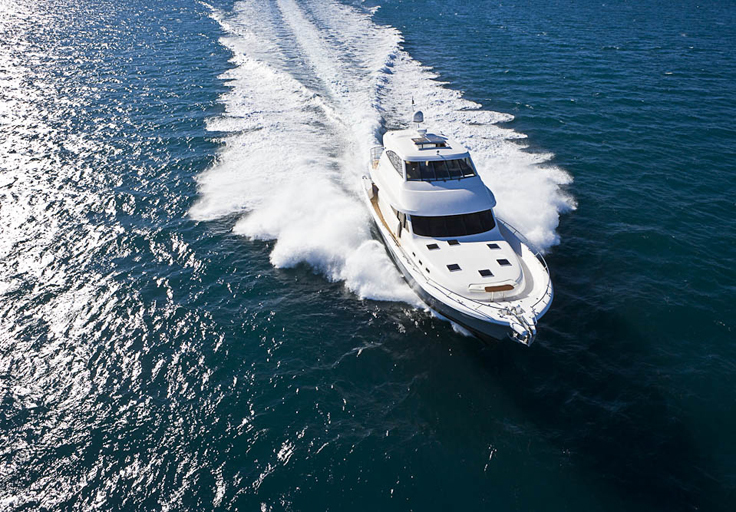 The huge C32 Caterpillar engines will give this ship an astonishing top speed in the region of 36 knots and an equally impressive cruising speed of 30 knots. 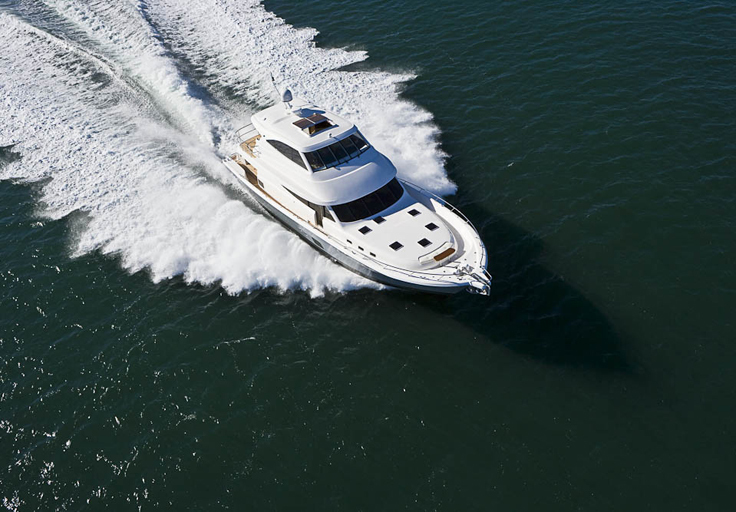 Even with the smaller, 1000hp engines, the mighty Maritimo 73 will top 28 knots. 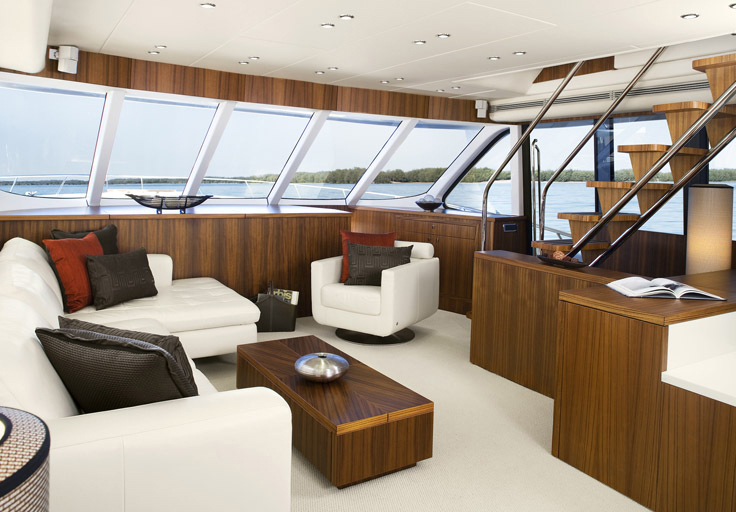 Caring for the engines will be no problem, with a meticulously planned engine room offering full height headroom and ample space for routine maintenance procedures. Seeing (and imagining!) what this mighty ship will be like when she hits the water simply stuns the senses. She’ll be fully air-conditioned, offer all the comforts of home, with a superb galley and accommodations that could only be termed sheer luxury. 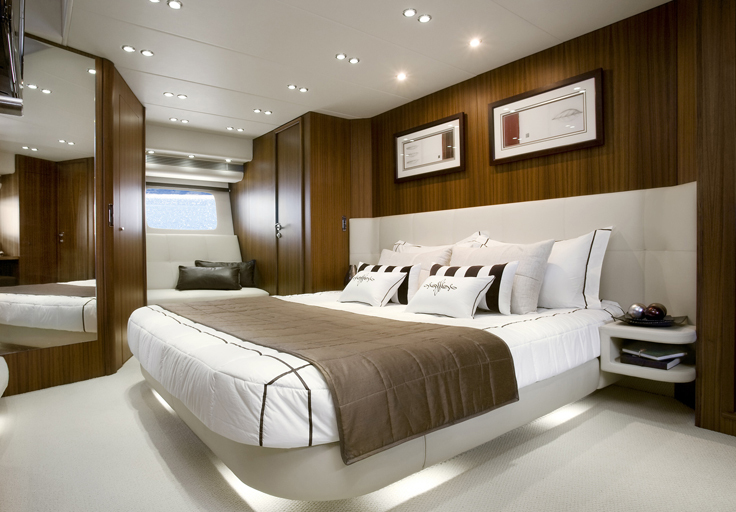 Her owners will enjoy a master suite that, like the ship itself, should rightly be termed a masterpiece, even boasting his and hers en-suites! To give some idea of her massive dimensions, consider this: her anchors, chain and Muir windlasses at the bow weigh more than one tonne! Maritimo already offers a fleet of options for discerning owners, from flybridge Cruising Motoryachts and Offshore Convertibles to the sprightly Sport Cabriolet and Aegean Flybridge models. 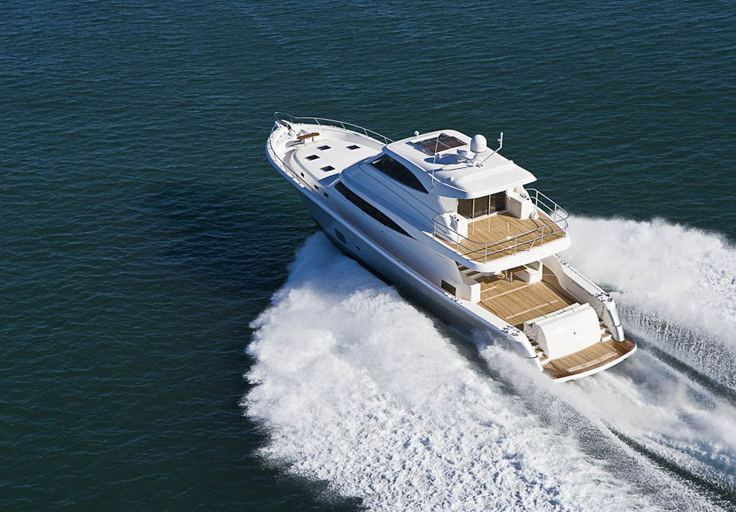 In all, the company now offers 14 different models ranging from 48 feet to the new 73-foot flagship. In a short space of time Maritimo has managed to attract a loyal following this in turn has given them strong steady growth. Their new flagship 73 model is testament to simplicity in their design and innovation in boat building. 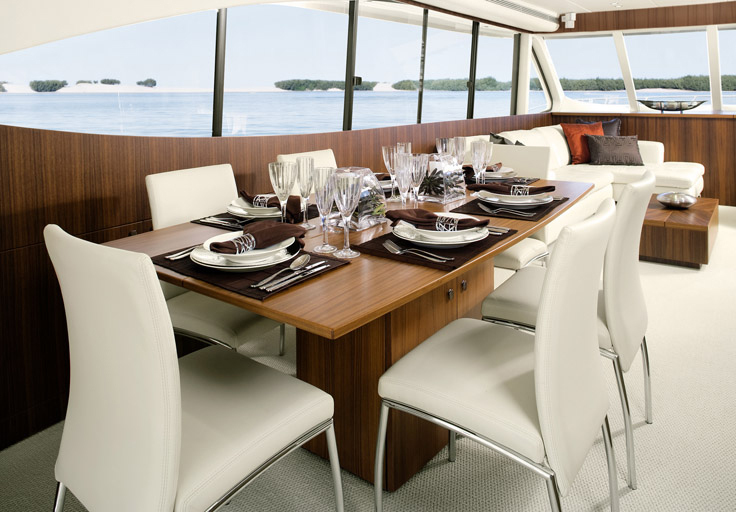 The Maritimo 73 is a unique alternative to the Sports Yachts of Europe and is a sure consideration to potential customers in the market segment. 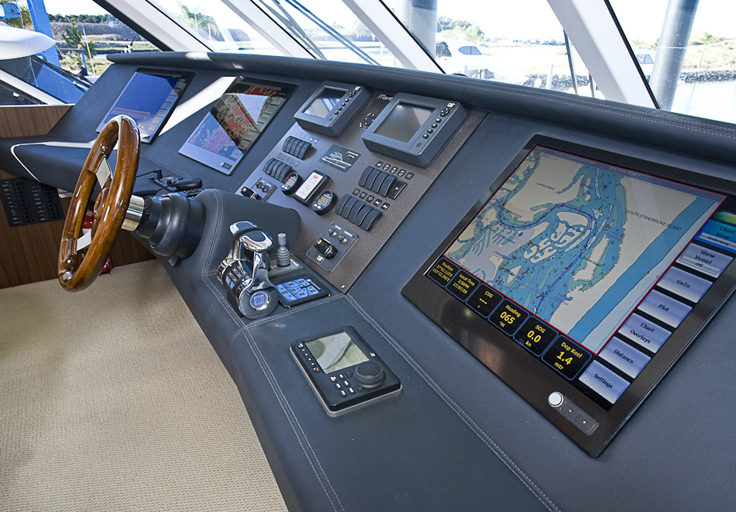 Content and pictures courtesy of Maritimo Yachts.